Chris Sale and Tyler Thornburg weren’t enough for the Boston Red Sox. 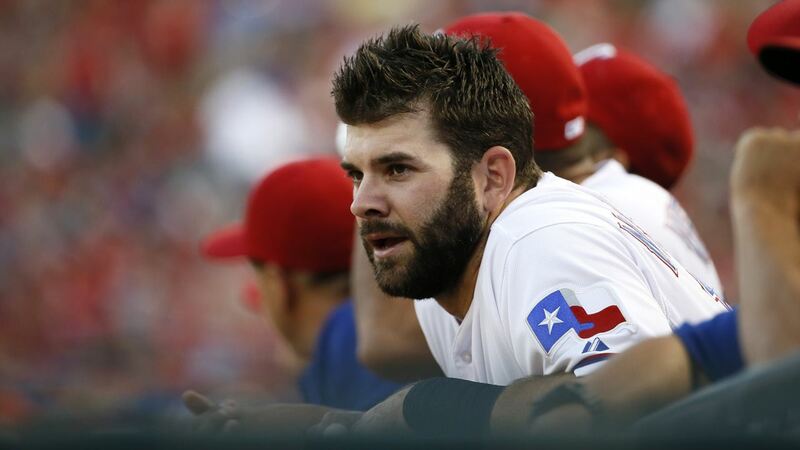 Boston signed first baseman Mitch Moreland to a one-year deal on Tuesday. Moreland, 31, is coming off a dip in production hitting just .233 in 2016, but he played stellar defense at first and won his first career Gold Glove award. Boston GM Dave Dombrowski hopes he’ll get one year of 2015 Mitch Moreland, when he posted career-highs with a .278 average with 23 home runs and 85 RBIs. Moreland’s lefty bat and gold glove caliber defense at first is a great one year pickup for the Red Sox, allowing them to use Hanley Ramirez at both first and the now vacant DH spot. The Texas Rangers weren’t going to bring Mitch back, but they didn’t lose him to a multi-year deal like some fans, myself included, thought he would command on the open market. There are internal options like major league ready Ryan Rua and Jurickson Profar. There are some minor league options as well with slugger Joey Gallo and Ronald Guzman. Externally speaking, Mike Napoli is a very intriguing reunion option. Napoli is coming off a career year in Cleveland with career-highs in runs (92), hits (133), and RBI (101). Former Astro Chris Carter had a career-best 41 home runs and 94 RBI while playing 155 games at first base. The Rangers voids don’t end at first base. The team also needs a DH, center fielder, and either more starting pitching depth or a young controllable ace. With Carlos Beltran signing a one-year, $16 million deal with the Houston Astros and Kendrys Morales signing with the Toronto Blue Jays, the Rangers seem to be a logical landing spot for Edwin Encarnacion. Unfortunately, he will cost a pretty penny, but he would be an immediate power bat in the heart of the Rangers lineup. Sources: Cleveland has checked in on Edwin Encarnacion. Perfect fit as RH power in LH-heavy lineup. Question is: Would they spend the money? The Rangers are talking with the Pirates about Andrew McCutchen, who manager Jeff Banister is familiar with. McCutchen, 30, is coming off a subpar year hitting .256/.336/.430 and can play all three outfield positions. He’s been linked to a lot of teams at the Winter Meetings including the Dodger and the Nationals, so he may not be as cheap as you may think. The Rangers are also in talks with Ian Desmond on a deal to keep the 2016 All Star in Arlington. Ian Desmond, who recently turned 31, is expected to sign a 4-year deal, according to one source with knowledge of his market. Personally, I’d be happy with either of these scenarios, both of which make me feel better than resigning Carlos Gomez on a pillow contract. Starting pitching is a topic I’ll address in its own piece in a few days.